Freshwater must be conserved and used wisely if we want our future generations to thrive on this planet. The world’s water is mostly undrinkable. Over 95% of earth’s water is found in seas and oceans. Most of the remaining water lies in the ice caps. We depend on a very small amount of fresh water, a vital natural resource. We need water not only for drinking, cooking and cleaning. But even for our food – growing crops or feeding livestock – and various industrial processes. We have a responsibility towards the planet and its wellbeing. Including the wellbeing of the animals, plants and other organisms whom we share the earth with. The majority of them too depend on this limited quantity of freshwater. Freshwater must be conserved and used wisely if we want future generations to thrive. 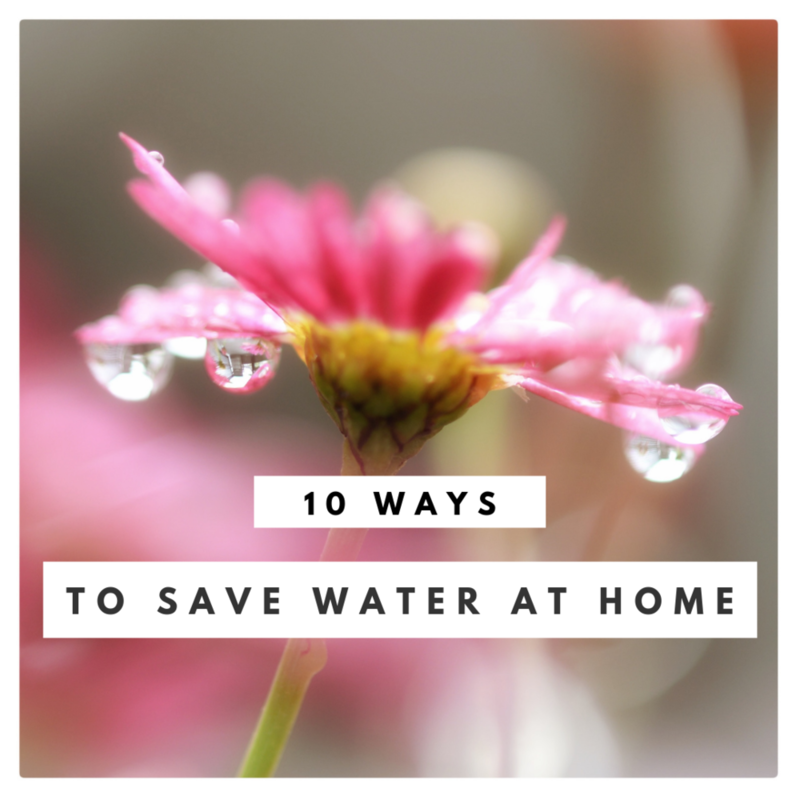 Here are 10 ways we can reduce water consumption at home. We often boil more water than we actually require for cooking, discarding what we have not used. Only boil the amount of water you need. If there is any excess boiled water, collect it. Let it cool down and use it to water your plants or local trees. Some showers can use up to 17 litres of water in a single minute. Set a timer on your phone to remind you to keep your shower short. Try to switch to an efficient shower head to reduce water consumption. Remember to always turn off the tap when applying soap, shampoo and conditioner. Turning off the taps while you brush your teeth or whilst you apply soap when washing your hands can result in a saving of 6 litres per minute. Also remember to fix taps that leak. They can result in a weekly waste of 50-70 litres. We usually clean fruits and vegetables under the tap with our hands using a strainer. Both methods waste the water that has been used. Instead try to collect the water with a pan and use it to water your plants or local trees. In the summer, you can also leave the water out in the balcony for thirsty birds, which often find it difficult to find water in the hottest months. If you skip meat and cheese one day a week with your family, it would be the equivalent of reducing everyone’s daily showers by 3 minutes. The meat industry is highly water intensive. By cutting down meat consumption we can reduce our water footprint significantly. Steaming food is one of the least water intensive cooking methods. It is arguably the best way to cook when it comes to good health as it retains more of the nutrients. There are thousands of recipes you can make with a steamer. Processed foods are generally highly water intensive. They result from various industrial processes. Processed foods also contain higher amounts of salt, which make us thirstier than normal. 8. Reduce the consumption of teas, coffee, alcohol and salt. Tea, coffee, alcohol and salt are natural dehydrators. They make us thirsty and require higher consumption of water for digestion. It is best to reduce their consumption. We often wash half loads when it comes to washing clothes, which results in a serious waste of water ­– and electricity. Also, many people believe washing the dishes by hand is eco-friendlier than using a dishwasher. This is a mistake. A dishwasher uses less water than hand washing when filled to capacity. Installing rainwater collectors can save up to 500 litres of water a month. Besides, plants prefer rainwater to treated tap water.